We provide a nutritious breakfast, a hot lunch and an afternoon snack. 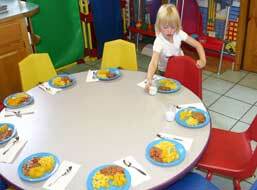 Children eat as a group in the dining area. 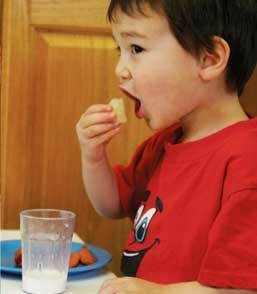 We serve a variety of foods that have been "kid tested" and "kid approved." Below is a typical weekly lunch menu. 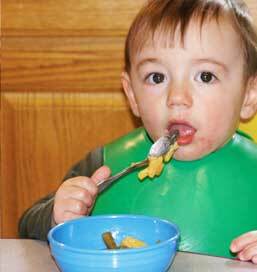 See the infants page for information about infant feeding and procedures. Fish sticks, peas, applesauce, milk. Grilled cheese, tator tots, pears, milk. Pasta, black-eyed peas, peaches, milk.